Bob Fu from China Aid recently joined a panel discussion at FRC to highlight the religious freedom abuses transpiring in China. Similarly, President Trump’s recent summit with Kim Jong Un brought renewed attention to the humanitarian and religious liberty crisis in North Korea. Both Chinese and North Korean citizens live under communist regimes. Although much of communism dissipated when the Iron Curtain fell away, it still survives in five countries, including North Korea, Vietnam, Laos, China, and Cuba. In all five nations, people of faith suffer persecution. To live as a Christian in a communist nation is to live with competing loyalties. Communism demands allegiance, but so does Christ. Because religion threatens their authority, communists regulate religion or try to abolish it altogether. Historically, communism and atheism have worked hand in glove. Marx famously referred to religion as “the opium of the people,” while Lenin asserted that “a Marxist must be a materialist, i.e., an enemy of religion.” More recently, the Communist Party of China has reiterated that all party members must ascribe to an atheistic worldview. International Christian Concern lists Marxist persecution as one of the top three forms of religious persecution. Likewise, the United States Commission on International Religious Freedom (USCIRF) groups all five communist nations on its top two tiers of religious hostility. Many conservatives object to communism for economic and political reasons. However, the tie between Marxism and religious persecution gives Christians added reason to learn about and stand against communism and the accompanying persecution that these regimes inflict on people of faith. 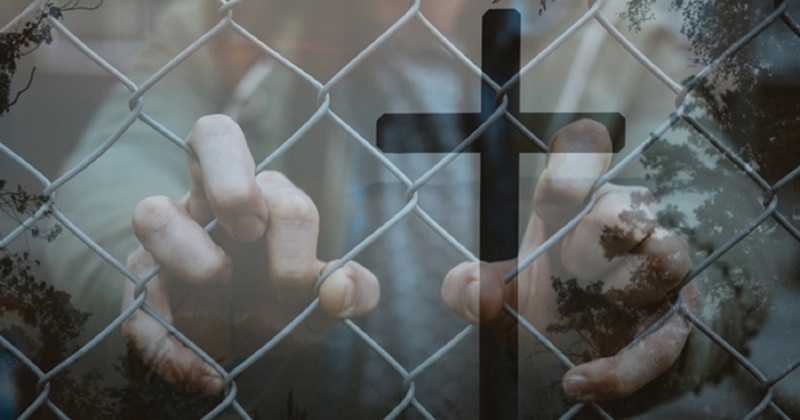 USCIRF reports that “the North Korean government’s approach toward religion and belief is among the most hostile and repressive in the world.” Open Doors lists North Korea as the top country for Christian persecution on its world watch list. In North Korea, the government mandates the worship of the ruling Kim family. Because of the government’s hostility toward religion, many believers hide their faith to defend themselves and their families. Believers face arrest, prison, and death because of their faith. Like North Korea, Vietnam also ranks as a Country of Particular Concern with USCIRF. Open Doors reports that although believers enjoy greater liberty in Vietnam than in North Korea, they still live with the risk of persecution. Believers encounter both racial and religious oppression. They also suffer attacks from gangs that may be state-sponsored. The Chinese Communist Party took a more direct role in governing religion in 2017, which triggered a subsequent increase in religious persecution. China Aid reports that “more than 1,000,000 people were persecuted in 2018, which is three-and-a-half times more than those recorded in 2017. Of those, more than 10,000 church leaders were persecuted, which is five times greater than those recorded in 2017.” China Aid’s 2018 annual report chronicles case after case of heightened persecution in China, from churches being demolished to school children being questioned for their faith. The Office of Religious Affairs in Cuba works for the Cuban Communist Party, giving the communists great authority over believers. According to USCIRF, “the government continues to interfere in religious groups’ internal affairs and actively limits, controls, and monitors their religious practice, access to information, and communications through a restrictive system of laws and policies, surveillance, and harassment.” A number of religious groups spoke out recently against the new constitution being proposed for the country, which would curtail religious freedom. Christians can stand against communist persecution by educating themselves, praying for those affected by persecution, and supporting human rights advocacy organizations. Through education, Americans can better understand and influence our foreign policy regarding these communist nations. Christians can also donate to advocacy organizations who are working on the ground to provide material and spiritual aid to the persecuted, such as China Aid, Voice of the Martyrs, Open Doors, and International Christian Concern. These organizations also offer information that equips Christians to pray for the specific needs of their suffering brothers and sisters around the world. Christianity threatens communism, because communism depends upon citizens’ brainwashed, undivided loyalty. However, Christianity bolsters democracy, because democracy rests on natural law and personal freedom. Therefore, preserving democracy means preserving religious freedom, while standing against communism means standing against oppression. By opposing communism worldwide through education, financial support, and prayer, we support our brothers and sisters and safeguard our own country. More information on the persecuted church can be found at FRC’s Remember the Persecuted webpage.